Reading Scripture is an integral part of any religious education program. After teaching students how to find, read, and cite passages from the Bible, challenge their skills with a Scripture Quest focused on Mary, Mother of God. 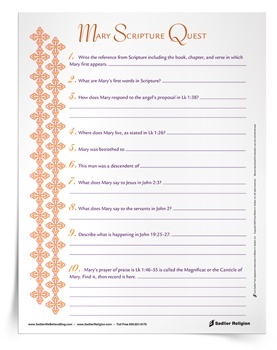 Fill out the form to download the Mary Scripture Quest Activity now. Download available in English and Spanish.